When it comes to providing a quality program for early childhood education, Head Start gets top marks nationwide. However, with the many budget cuts that federal legislators have made to these programs in recent years, it has become important to lower costs for Head Start operations wherever possible. To avoid reducing participation numbers or cutting valuable staff members, many administrators have turned to using discount supply source programs such as SupplySource to help them save money on janitorial and office supplies. Outside of early childhood education programs, the cost of cleaning supplies has gone up for consumers as well. The price of everything it seems has continued to rise each year with no end in sight. Turning to services that offer wholesale cleaning supplies and office purchases can be a great way for human service programs to reduce costs without cutting the quality of the services that they provide to the community. SupplySource helps Head Start administrators to lower costs for Head Start by giving them access to pre-vetted vendors that sell the items they need the most at reduced rates for monthly or bulk purchases. There is a certain level of janitorial and office supplies that are required to run any early childhood education center. The classrooms and restrooms must be kept clean to prevent the spread of germs and sickness between students and staff alike. The kitchen and eating area must be kept clean in order to adhere to strict standards for food safety. Floors must be swept and mopped, offices must be stocked with paper and printer ink, bathrooms must be stocked with paper products and soap – there are just some things that early childhood education centers can’t live without. Other ways to reduce your spending in addition to purchasing wholesale cleaning supplies is to try other brands. Sometimes non-national brands or generic products are cheaper than the national brands that you might normally buy, but are made to the same quality standard. Another way to reduce cost is to purchase all of the product that you will need in one bulk purchase. Buying twelve bottles of floor cleaner at once can be cheaper per bottle than buying just one or two bottles. When SupplySource does the initial FREE analysis of your shopping and spending habits, we can help you identify different ways that will help save you money. Depending on the amount of time that your staff has during the day to stay on top of cleaning, you might be able to save some money on janitorial services and wholesale cleaning supplies by reducing the amount of work that the janitor has to do each evening. If you can lower costs for Head Start by reducing the janitorial staff from two or three persons down to one or two, or cut the hours in half because of efforts made by teachers and care givers during the day, it could help keep your budget under control. Keeping their own classroom or area cleaning, taking out their own garbage at the end of the day and doing other simple tasks can really add up throughout the week. Creating an incentive plan that encourages staff members to be responsible for their own space could save a lot of money each year. Vacuuming classroom rugs after class or wiping down tables after mealtimes can also really help reduce the amount of time that a paid staff member has to come in to clean after hours. Other ideas that some early childhood education centers have tried include getting a hand dryer instead of buying paper towels in the staff restroom, purchasing toilet paper in bulk instead of individually wrapped rolls, buying liquid hand soap in bulk and refilling it themselves and purchasing office supplies like pens, paper and ink once a year. Keeping track of your inventory and making sure that items aren’t “going home” with staff members is also important. The more accountability that you have with your staff and between staff members, the more money that you will be able to divert to early childhood education programs. 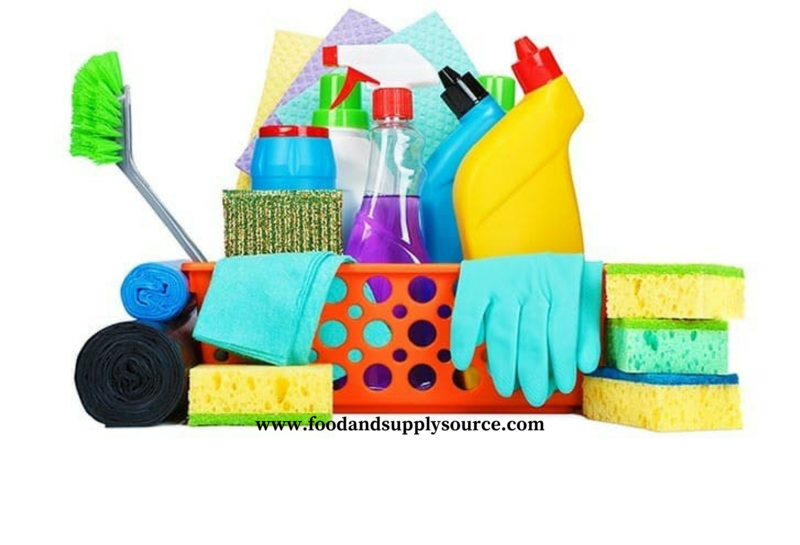 Call SupplySource for Wholesale Cleaning Supplies and More! If you are interested in finding out just how much money you can save and lower costs for Head Start, contact SupplySource by calling toll-free at 1-866-248-4520. Our team will start by providing you with a FREE cost analysis of your current spending and show you just how much money you can save with our discount supply source services. Save on wholesale cleaning supplies, janitorial products, office items and more! Most of the programs who join our FREE service save between 10-35 percent on supply costs each year. Give us a call today and find out how much SupplySource can help your early childhood education program save.